There’s no rest for the wicked, even on Mardi Gras. After attending a birthday breakfast meeting at LPA and visiting with co-workers, I had a doctors appointment looming at 1 pm. Lunch today has to be swift and cheap, cheap, cheap. 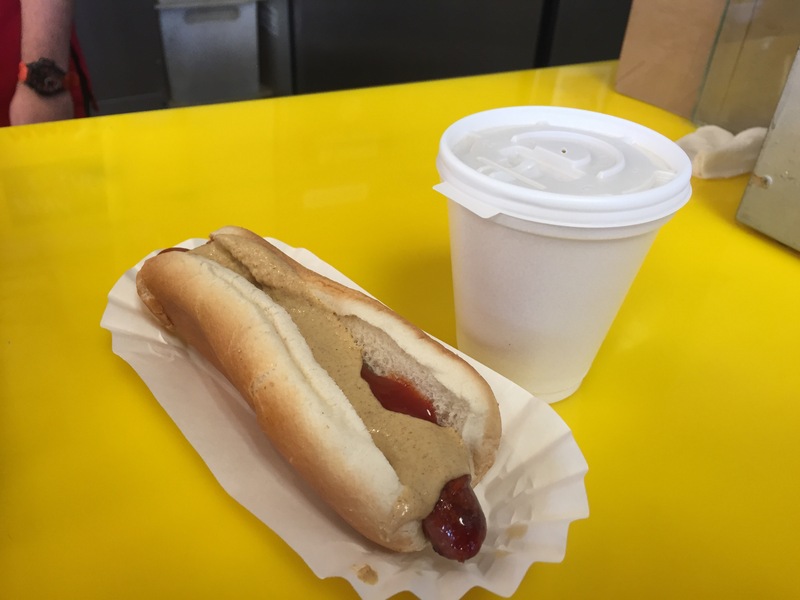 This iconic hot dog stand is an all-time favorite for locals and tourists alike. The all-beef dogs are perfectly grilled, with your favorite toppings, and the juices are delightful. I always pay extra for pineapple juice; it’s 100% juice. However, today instead of ordering two dogs like I usually do (the recession special), I ordered one. It was great as always, and was enough for today. When will I get well again?